The GeekTonic blog has been loaded with new posts again this week. 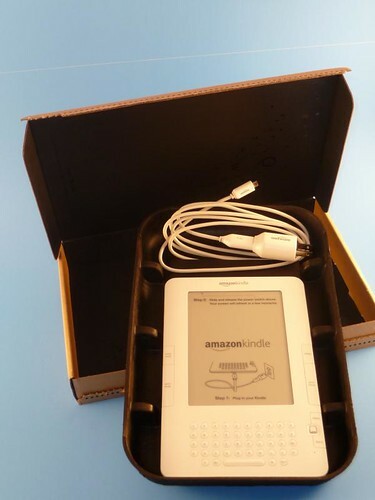 We finished the Kindle 2 reviews, I participated in several podcasts and shared many other media gadget articles for everyone. In case you missed anything from the past week, here is a summary of the past week's news and stories on GeekTonic. Be sure and check out the GeekTonic Media Gadget Showcase - I encourage everyone to sign up for the Gadget Showcase at GeekTonic. Get started by joining the GeekTonic Flickr Group and adding photos of your media gadgets and Media Setup photos for a chance to win Amazon Gift Certificates and more. We've had two great entries already and hope to see many more in the series. Don't let the first two scare you off - this is for simple sharing of your media gadgets (as simple as a photo and quick review of your HTPC server, favorite media player or whatever) or as elaborate as a full-out writeup of your HTPC setup or Home Theater Build. I'm looking for anything and everything media-gadget related. Netflix New Watch Now Picks of the Week: Episode 9 - Each Friday I list out all of the new Netflix, watch-now titles and highlight a few of the notables. GeekTonic on Kindle Chronicles Podcast - I've had so much fun with the Kindle 2, I jumped at the chance to be interviewed by Len Edgerly of the Kindle Chronicles podcast. SageTV vs Windows Media Center Showdown Podcast - If you're a HTPC fan, don't miss this podcast. I join four other enthusiasts to discuss and debate the merits of SageTV and Windows Media Center HTPC software. 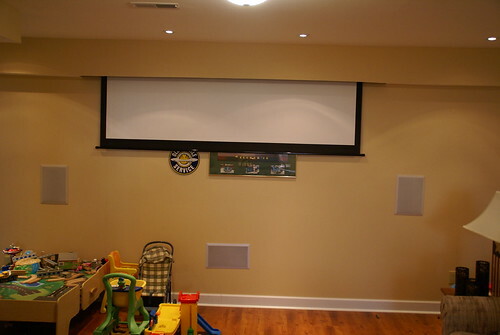 Media Gadget Showcase - Home Theater Setup by Dennis Heinle - Check out this awesome Home Theater room Dennis has created. And the media is powered by a HTPC (SageTV) too! The Ultimate Directory of SageTV 3rd Party Applications - A comprehensive listing of all SageTV 3rd party applications. KindleTips - Ultimate Kindle 2 Shortcuts and Tricks - The guide to all keyboard shorcuts, tips and tricks for the Kindle 2. Hauppauge Working on HD version of MediaMVP - The old standby media player MediaMVP from Hauppauge is getting a nice update. PlayOn Adds Amazon VOD - Works on XBox360 PS3 and SageTV HD Theater - Amazon VOD now possible for PlayOn users! Not as many posts as with some weeks, but many of these were extremely time consuming. Anyway, that's a wrap for this week. 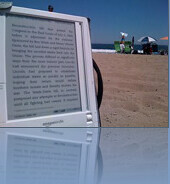 Kindle 2 Recommended Web Resources - I've consumed as much information I can get my hands on for the Kindle 2. 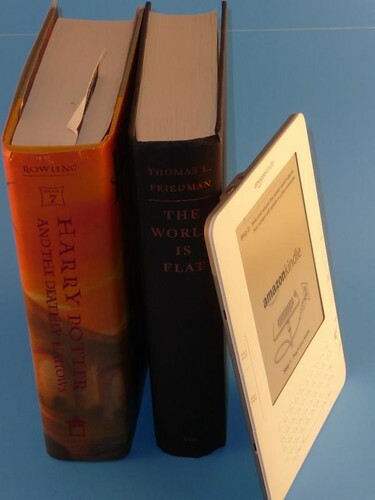 Now it's time to share the best places for Kindle Information with GeekTonic readers. Media Gadget Showcase - Another installment of the Media Gadget Showcase is coming this week. I now have over five of these queued up for the coming weeks. Hurry and get your submission in soon. We have some Amazon.com gift certificates to give away to a few of these submissions. Comprehensive Look at the Pros and Cons of SageTV versus Windows Media Center. You've heard the podcast where we touched on the high points on this topic. Now its time to go in-depth and really look at the many good and bad points of these two popular HTPC programs. Don't miss this one. Installment 3 of the Wireless Media Keyboard Reviews - The third of the HTPC keyboard reviews - and another giveaway. More Media Gadget Goodness - lots more HTPC and media gadget news, reviews and discussion at GeekTonic coming this week! The team at SageTV continues to grind out new beta releases at a has been releasing beta's for SageTV 6.5 at an almost non-stop pace since November. Today, they released 6.5.12 with a bunch of bug fixes and even some significant new features. 4. Video playback: Made subtitle on/off toggle dependant on whether any subtitles exist and extended the option to videos instead of only DVDs. TIFF photo file support. Another often requested feature from SageTV users is to provide support for viewing of TIFF photos. Added .tp file extension to default imported video file extensions. You no longer need to rename or convert your .tp video files to get SageTV to recognize them. Many behind-the-scenes Studio Improvements – While this might not sound like much to the non-developer, just know this – SageTV has just eneabled the ability to store and use custom metadata that opens up a whole host of new capabilities for add-on developers. Such as sort by season/espisode for TV series, improvements to fan support and possibly even one of my most often requested items, sort by date added for movies. Before we were limited with a very specific set of metadata allowed by SageTV. Many, many more bug fixes and performance enhancers (no not those kind) that should make SageTV that much more enjoyable. Get the download and Read the full changelog at the SageTV forums. MJPEG decoding in media player mode. Increased number of image reference for H264 to match profile 5.1. Add wma pro audio decoding. Fix some bad cases with files using low resolution pcm audio. Fix access to files larger than 2GB over UPNP in media player mode - this is a big one especially for those SageTV users that use PlayOn. Now all your Netflix, Hulu and Amazon Video On Demand Movies will work with no problems on the SageTV HD200! Many fixes and improvements to the HD Theater Media Player (Standalone) Mode. To update your HD Theater to the latest beta firmware: While using the HD200 as a Media Player (standalone mode), use the remote's number pad to enter the code 2382 ('beta') on the HD200's Settings -> System Update menu. I had the pleasure of participating in a a fun Home Theater PC (HTCP) roundtable podcast that pitted SageTV against Windows Media Center. I joined the regulars on the HTPCentric Podcast, Tim Campbell and Adam Thursby along with Josh Shenkle and Josh Pollard. We hashed out the pros and cons of both SageTV and Windows Media Center talking over cost, ease of use, third party applications and more. If you're a HTPC enthusiast or just trying to decide between the two I think you'll find the podcast a must listen. There's no way we could really cover all of the many great things (and the pet peeves) about both of these HTPC programs in just an hour, but I think we gave it a good start. HTPCentric Website The Podcast is Published and ready for you to listen. Thanks to Adam and Tim for having me on the show and for Josh Pollard and Josh for joining us for a great HTPC Talk. 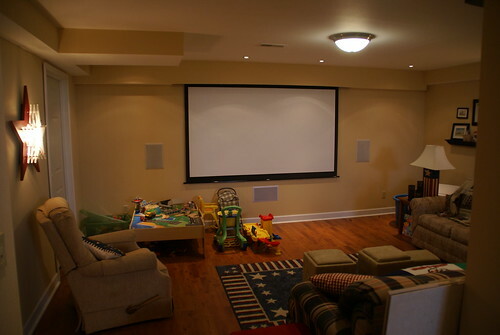 Our second submission for the GeekTonic Media Gadget Showcase Series is an impressive Home Theater Setup. 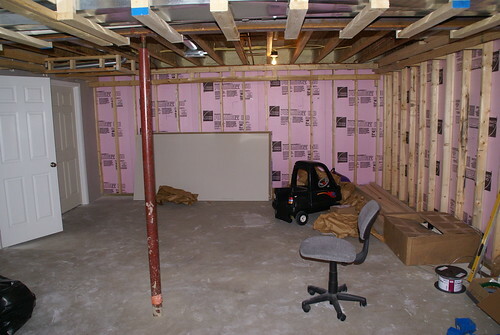 Dennis shows us the unfinished basement that has been transformed into a functional home theater. And to make this home theater room even more interesting, he utilizes a Home Theater PC to power the media behind the scenes. Read on for his great writeup with photos to share. NOTE: This is a guest post by Dennis Heinle. To read more about how to submit your photos and/or writeups for the GeekTonic Media Gadget Showcase Series, read this. Basic guidelines for writing and submitting a guest post at GeekTonic can be found here. I have always wanted a big screen TV. I can remember when I was kid going to B&B Electronics with my older brother to look at car stereo equipment and I was just in awe of those 50" rear projection monsters. When we finally decided to finish the basement last summer I started to think about how I can integrate a Home Theater into it. I didn't expect to finish the HT as soon as I did, I just wanted to put the pieces in place during construction so it could be finished at a later date. I decided on a layout and then started to rough-in speaker wire with low voltage boxes. I also created and area for an in-wall av rack. 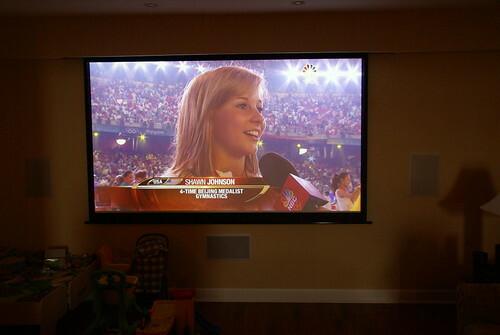 Create a budget friendly home theater with great WOW factor. I really wanted this to happen. Push 1 button, all equipment turns on, screen drops down and lights dim to the correct settings. I am almost there, I have all the hardware just need to finish setting up the lighting. My wife also had some goals for this. She didn't want any wires anywhere, period. It had to look clean and be un-obtrusive. If we were not watching a movie she didn't want to see any equipment, period. Melanie is thrilled with the outcome, it just looks awesome and can be "put away" very easily. It also had to be easy to use. My dad and I built the entire basement and did all the work except the drywall so we had a lot of freedom to place things where they would fit. I did a lot of research online before construction to figure out speaker placement. Crutchfield.com has a great resource on speaker placement, even for in-wall or ceiling speakers. Based on Melanie's requirements I had to go with in-wall speakers. I had bought a lot of stuff from parts express in college and was always happy with their gear. I purchased the following speakers. They sound great and I am very very happy with them. I thought they were very reasonably priced as well. I needed a new receiver and started doing a ton of research on-line. 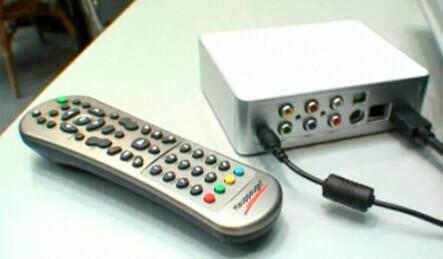 I wanted a receiver that would do HDMI switching with audio and upconversion on the HDMI output. I really only wanted a 5.1 receiver because I honestly never thought I would have a need for it. I found a receiver that did everything I wanted and much more. I landed up with an Onkyo TX-SR606. I found a killer deal on it at Circuit City (of all places, before bankruptcy) by using shopper.com. The on-line price was about $130 less than the in store price but they did price match it. 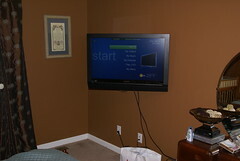 I started out with a cheap Cyberhome DVD player for movies and let the receiver upconvert it 1080i. The day after Thanksgiving I got a Sony BDP-S350 1080p Blu-ray Player from Bestbuy for only $200. I really like how this blu-ray player support BD-Live which means it connects to the internet and you can interact with features on the disk. I have yet to use this but I see the HSM3 has this feature. I'll have to check it out with my daughter. I used projectorcentral.com to do all my projector research, it was a great resource and I love the projection calculator. You select the model of projector you want, enter the distance you have to work with and it will tell you what size screen you can get with the built-in zoom on that projector. I read all the reviews and settled on the Mitsubishi HC-1500, an editors pick. It is a 720p projector but looks great. I really didn't think I would buy a Blu-Ray or HD-DVD (remember that?) player anytime soon, so I was ok with 720p and it will go up to 1080i. 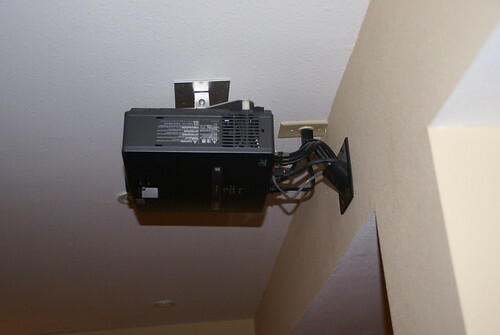 I ceiling mounted the projector in front of a beam which gave me perfect access to hide wires. I was not exactly sure how I was going to use the projector so I ran HDMI, Component and VGA to it. So far I have only used HDMI. Screen While on projectorcental.com a saw some reviews of electric screens. I figured they were out of my price range but looked anyway, I was happily surprised. Elite screens has an economy line which is very reasonable. I picked up a 100" 16:9 Elite Spectrum Motorized Projector Screen from newegg.com for about $250 shipped. It's a white screen, not the preferred gray for movies but was cheap and I was going for the wow factor of an electric screen. 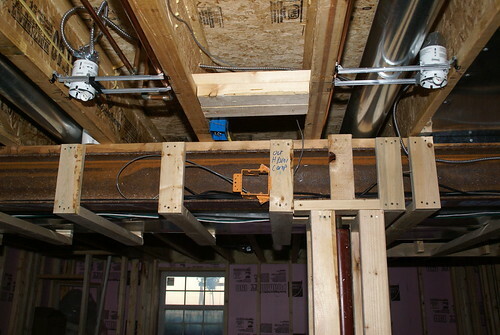 While framing the basement I made a soffet in the front of the room and built an area for the screen to fit up into. So when the screen is up, you see nothing. It has an IR remote and a remote trigger. 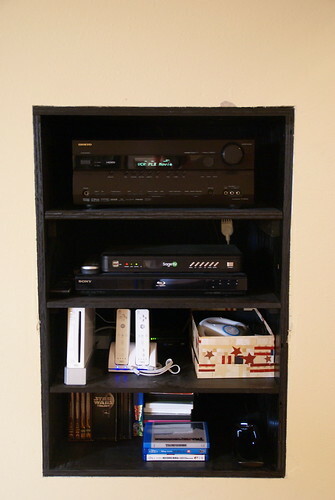 My major problem with the HT was my media center. I had been a Beyond TV / Beyond Media user for about 5 years and loved it. It always worked and had a very high WAF. My problem was I only had it setup on 2 TV's. I really did not want to build another PC for the HT. It would be somewhat costly, be used rarely and I had to figure out how to get HDMI to work without any HDCP problems. I was dreading building another PC for this. I started looking into alternatives and found SageTV. I saw their new STX-HD100 extender and thought it would be perfect. I started doing some research on it and read a review on GeekTonic. I started reading more reviews on the SageTV Forums and was hooked. I was hesitant to switch to Sage because of BTV's high WAF, but gave it a shot anyway. I found Geektonic to be a great resource for me as I moved to SageTV. Brent had a lot of great articles on moving my BTV recordings, setting up comskip, setting up webadmin, etc... Going to geektonic.com was much easier than searching the SageTV forums for me. So far SageTV has been awesome, I love all the little add-ins and tweaks for it. Since then I have bought a SageTV HD-200 for the bedroom and am looking at getting a 3rd for the living room. I am now a huge fan of extenders and love how they use very little power compared to a full PC. Lighting was very important to me as I wanted that perfect theater experience. Low side lights, task lighting etc... 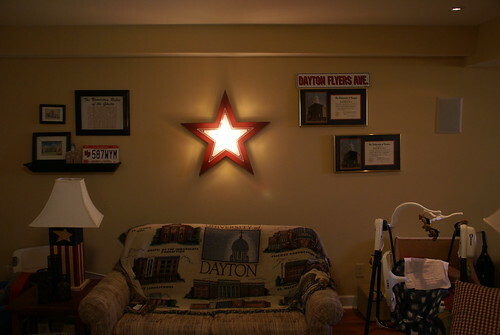 I found a couple of great articles on hometheatermag.com that explained the basics and I ran with it from there. I installed a Lutron Lighting Spacer system that has 5 zones and can be controlled by the Harmony remote. I still have some issues with setting up my scenes, so it does not work perfectly yet, but can dim the lights from the remote. Very cool. I am also a Disney fanatic and while searching for some other items from mousesurplus.com I found wall scones for Disney's All-Star Movie resort. I thought they were perfect and bought 2 for the side lighting. I also installed 4 - 3" can lights in 2 rows. 1 row to highlight the front wall when the screen was up and second as task lighting above the main seating area. This way the movie looks great but I can still find the popcorn and the remote. I was concerned that I would build the Home Theater and it would not get used very much. It was done sometime in September 2008 and I already have 360 hours on the projector lamp. Needless to say we use it all the time. We have had a lot of people over this year for baptisms, birthdays, wedding showers etc... and we always find ourselves in the basement. So far no real problems with the setup. As with any project there is always some things to work on / fix / setup. 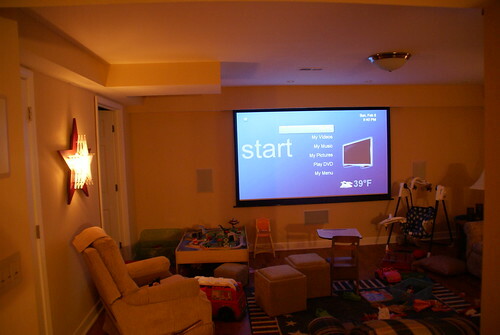 Check out all of the home theater setup photos in full-screen on flickr. And more awesome photos including Dennis's at the GeekTonic flickr group. About Dennis: "Dennis is a geek, working with technology since he got his first computer in 1983, a Commodore64. He works as a Enterprise systems administrator in St Louis, married, 3 kids and is addicted to Walt Disney World." You can find more of Dennis' musings on technology at his blog and by following him on twitter. Thanks goes out to Dennis for sharing with us his new Home Theater Setup - be sure and ask any questions you have for Dennis in the comments below. If you'd like to have your setup or media gadgets highlighted, and want a chance to win some Amazon.com gift certificates read the guidelines for submission here. We're looking for things as simple as a few photos of your favorite media-related gadgets or as elaborate as the home theater setup above and Sodarkangels HTPC build from last week. Either way, join in on the GeekTonic flickr group and upload your media gadget photos! SageTV, one of the top HTPC programs on the market thrives because of its ability to quickly evolve and improve over time. Meeting the users (many of which are very demanding enthusiasts) needs has been an important part of SageTV's success over the years. But a small company like SageTV cant meet everyone's needs all of the time - it just isn't feasible. So how do they fill this vacuum of special wants and needs of it's enthusiast community? The answer to this question points to an important part of what makes SageTV great - the ability to customize, develop themes and applications and a strong user community to develop these add-ons. The average Home Theater PC (HTPC) enthusiast wants their HTPC software to have as much built-in as possible. TV and PVR functionality is important to most of course, but there's also the movie player, the music player, the photo viewer and many other functions you want that HTPC to handle for all of your media. A close second in importance to most HTPC users is the third party applications. One of the great things about SageTV's HTPC software is that most of them allow the development and usage of excellent 3rd party apps to add to the experience. 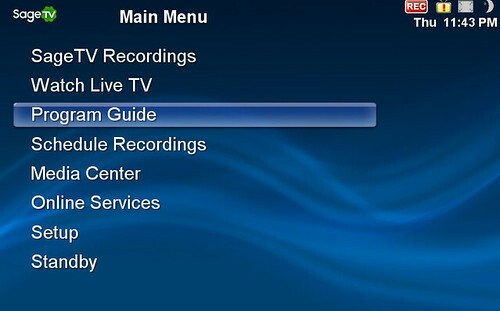 Custom User Interface Replacements - SageTV is unique from other HTPC software programs because it has add-on programs that actually customize the entire user interface of SageTV completely. This allows for an entirely customized User interface well beyond just theming the look, but also adding features and a different way for the interface itself to work. SageTV Default - this is the user interface you get when you first install SageTV. Developed by and updated by the guys at SageTV. SageMC - quite possibly the most popular add-on for SageTV ever. SageMC doesn't really fit into one single category because it does so many things. SageMC Video Tools v3.0 - transcode, compress and convert video. Cut commercials from shows, create DVDs from video and more. NetFlix for SageMC - View, add and remove titles from your Netflix queue. View movie previews and watch online streaming Netflix titles. Pandora Internet Radio - Navigate and listen to your Pandora online radio stations. Movie Info Screen - Customize your movie screens with cover art, fanart animations and more. You can make your movie screen look how you want it to. TV Info Screen - Customize your TV screens with cover art, fanart, animations and more. You can make your movie screen look how you want it to. Grouped Recording Screen (NEW!) – replaces the SageMC grouped recording screen to show extra detail. 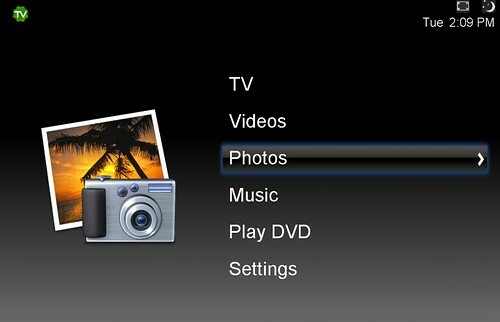 iMovies - Give your movie screen the Apple Coverflow look. Lots of customization capabilities too. Slim Player for SageMC - Online Radio support for Shoutcast, SiriusRadio, LastFM, Live365, AlienBBC and more. JRMC Media Explorer 2 for SageMC - JRiver Media Center Front-end that puts JRMC to work behind the scenes of SageMC. An alternative media (music, movies and more) from the SageMC interface. Recipe Viewer for SageMC - View Recipe's from your SageMC HTPC. Perfect for that Kitchen HTPC. TMG miniguide - yet alternative to the standard mini-guide. This one based on the TiVo mini-guide. Vickie 1.01 Theme - A new theme loosely based upon Victorian Themes and mixes an old world feel with modern technology. SageMC Menu Layouts - Addons to customize your SageMC even further. Dynamic Customizable Main Menu (built-in to SageMC) - Customize the main and sub-menu's of SageTV to your hearts desire. Slim Player (internet radio, mp3, wma, etc from SlimServer) - Online Radio support for Shoutcast, SiriusRadio, LastFM, Live365, AlienBBC and more. JRMC Media Explorer 2 - JRiver Media Center Front-end that puts JRMC to work behind the scenes of SageMC. An alternative media (music, movies and more) from the SageTV interface. Flyout Left - 'flyout' three optional buttons on the left side of the main menu when the left button is pressed. Reverse Commercial Detector EDL file inverter -- watch only the commercials for Superbowl! Utility: SendMessage by Opus4 -- Send Windows messages to any application. For those SageTV users reading GeekTonic, let me know if I missed anything. And anyone else, feel free to ask any questions about the many SageTV add-ons in the comments below. You knew I couldn't leave well enough alone. 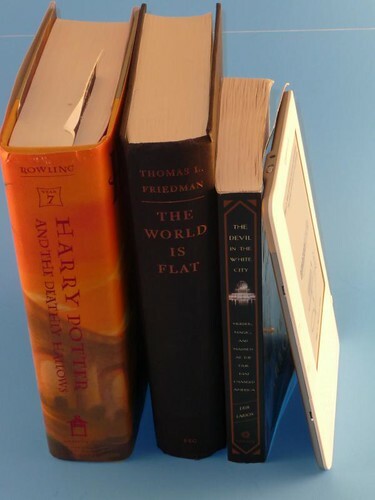 Over two weeks with the Kindle 2 eBook by Amazon.com , my GeekTonic Kindle 2 Review and my wife's Non-Geek Tonic Kindle 2 review are both complete so what to do? Well I have actually been reading on the Kindle 2 quiet a bit, but I've also been doing the "geek"-thing and searching for as many keyboard shortcuts, tips, tricks and hacks that I could find. I even went as far as trying random key-presses to see what I could dig up. I found a lot of information for the Kindle 2, the sort of things that make this Geek Reader excited. So without further talk, here are the best shortcuts, tips, tricks and hacks I could find and confirm for the Kindle 2 - enjoy! Screen-shot - Alt+shift+G creates a screen-shot (.gif format) that goes to the Documents Folder of the Kindle 2 which you can view when connected to computer. Jump to Web - Type in your search terms and move the 5-way controller to the right and then select “google”. Alpha Search - To search for an author or title by first letter, click one letter on the keyboard and press the 5-way controller. Then go immediately to the place on the list with the first author or title under that letter alphabetically, *but only if that match exists*. So if you have no Q's, you can't get to the R's that way. This doesn't work for "Most Recent First" listings but seems to work for title or author sort and could be useful if you have a lot of books on your Kindle 2. List Supported Search commands - Type @help in the search string to display other supported search commands like @dict, @url etc. 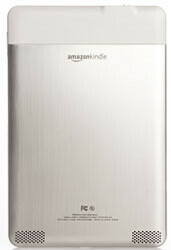 Search Amazon Kindle Store for Free Books - From Kindle Store search, type in -domain into the search field. Add or remove a bookmark - ALT+B. Alternate Method: Press 5-way up/down to go to cursor mode, and then press 5-way controller twice. Newspaper View Summaries - To view summaries of the articles in a newspaper or magazine, while viewing the newspaper section list, press the 5-way controller to the right to highlight the number showing the number of articles in a section, then press the 5-way select button - This will bring up the list of articles in that section and you can navigate directly to any one you wish. This little trick makes Newspaper reading much, much better! 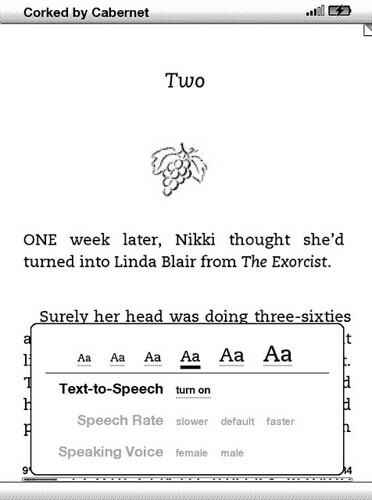 Start text-to-speech at specific point on a page - To begin the text-to-speech at a particular point on a page, move the cursor with your 5-way controller to the point just before you want the reading to begin. 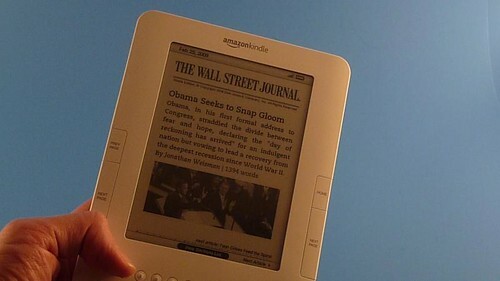 The picture viewer can be activated by connecting your Kindle2 via USB cable to your PC and create “pictures” folder in Kindle USB disk. Create subfolders inside of that and copy the pictures. The subfolders will then become “book” names and the pictures will be pages. *.gif, *.jpg and *.png files all seem to work. Now you disconnect the USB cable and press Alt-Z in the home screen. Your picture folders should now appear among the books now. 2. A "mini definition" displays at the bottom of the screen. 3. While the mini-definition is showing, press the "return" key. 4. The more detailed definition from the dictionary will appear. 5. Place your cursor at the beginning of the entry and click the 5-way controller. Then move the cursor to the far-right point of what you want to save to "my clippings" and click the 5-way controller once more to highlight the definition. 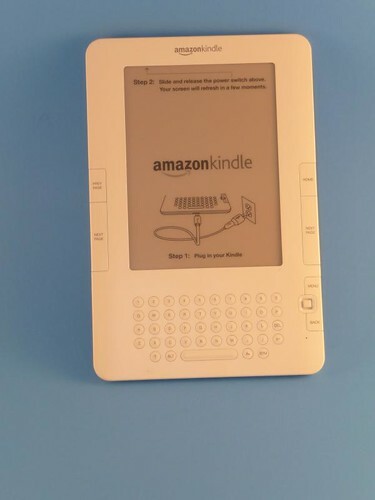 Turn multiple pages at once - Hold down the next/prev page button or click them multiple times causes the Kindle 2 to turn several pages at once. It's slow and not ideal, but does work. 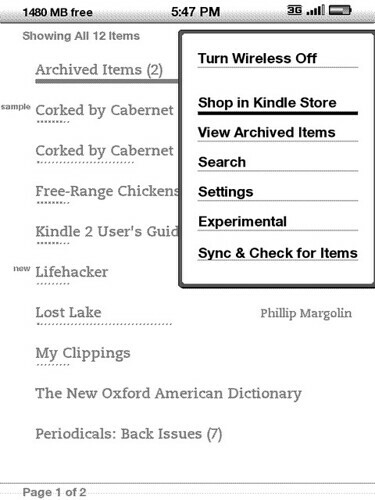 Delete Book from Kindle - Highlight the item you want to delete (navigate with 5-way button), then press left with the 5-way controller to bring up the Delete selection option. Press select with 5-way controller to confirm deletion. 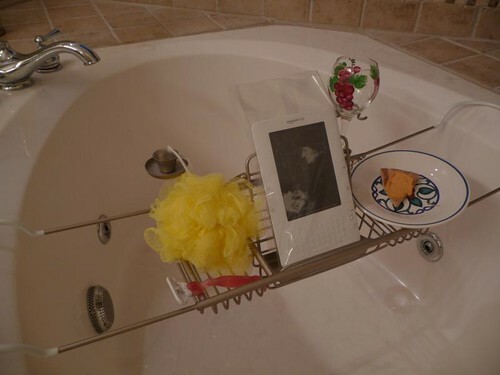 Read Kindle 2 Around Water - Use a Ziplock Bag to protect your Kindle 2 during bathtub reading - this is one my wife tried out (successfully) during her review of the Kindle 2. Still, don't drop the darn thing in the water - it's just too expensive for that. Whew, that took a long time to try all of these out. If I missed any shortcuts or tricks for the Kindle 2 you know of let me know in the comments. Hauppauge, the guys that brought us many HTPC tuners and devices (Hauppauge HD-PVR anyone?) is updating their aging MediaMVP media player with a new, HD-ready version called the MediaMVP-HD. The new Hauppauge MediaMVP-HD was exhibited at CeBIT 2009 in Hanover. The new media player is in a small box that looks strikingly similar to the SageTV HD200 and I wouldn't be shocked if the internals were similar if not nearly the same as the HD200. 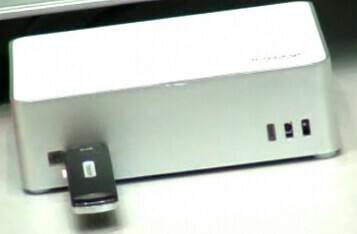 Like most media players these days, the MediaMVP-HD connects to your TV via LAN or wireless via USB Wifi dongle to provide video, audio and photos to your TV set. Expected to be available mid-2009 although no official word from hauppauge on the exact date and which countries this will be available for. It can be a standalone (it does not need a PC to boot like the previous MediaMVP did). PlayOn is a streaming software that lets you stream Hulu, Netflix CNN, CBS, YouTube, ESPN and now Amazon VOD and Revision3 online content sources to your XBox 360, PS3, Popcorn Hour and many other players. I use it with the SageTV HD200 which isn't officially supported by PlayOn but does work for the most part. I've tested the new Amazon VOD on the SageTV HD200 and it works well. Now if we could get Amazon to hurry up with the HD already! You can pick up PlayOn for$40 and try it out for a free, 2-week trial available on their site. They have plans for some new features and Wii support in early 2009.